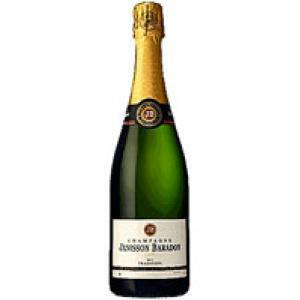 The Janisson Baradon Brut Tradition ($31.23) is a sparkling wine from Champagne produced by Janisson Baradon made of pinot noir and chardonnay grapes and has an alcohol content of 11%. 4,5 of 5 points is the average score of this sparkling according to Uvinum users. - View: clear and bright yellow. - Nose: very delicate, fruity and sweet notes of peach and grape vines. - Mouth: large and fleshy with fruity aromas memories, a very elegant bubble, followed by a good length. WINE PAIRING: seafood, sea fish, desserts. Do not rely on its price, it has everything of a great! 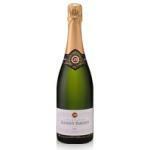 If you want to buy Janisson Baradon Brut Tradition, at Uvinum you will find the best prices for Champagne. Save money with Uvinum, fast, easy and 100% safe. We offer a large catalog of wine, beer and spirits which vaults us to the top of the mountain in selling wine, beer, and spirits in Europe with more than 38.000 clients who trust us.